Tipard iPhone to PC Transfer is the professional iPhone to PC software that enables you to transfer music/movie/Pictures/TV Shows/Podcast/iTunes U/eBooks/Camera Roll/Ringtone/SMS/Contacts/Voice memos/Camera shot files from iPhone to PC or iTunes at random. What's more, you can backup all your SMS/Contacts as database files to PC for safety. This iPhone to PC file Transfer can work well with all iPhone/iPad/iPod models, including iPhone, iPhone 3G, iPhone 3GS, iPhone 4, iPhone 4S, iPhone 4S, iPhone 5, iPhone 5s/5c, iPhone 6/6 Plus,iPhone SE, iPhone 6s/iPhone 6s Plus, iPhone XS/XS Max, iPhone XR, iPhone X/8 Plus/8, all iPod models(such as iPod nano 6, iPod touch 4) and all iPad versions such as iPad Pro, to help you backup various device files to PC in case of crashing. 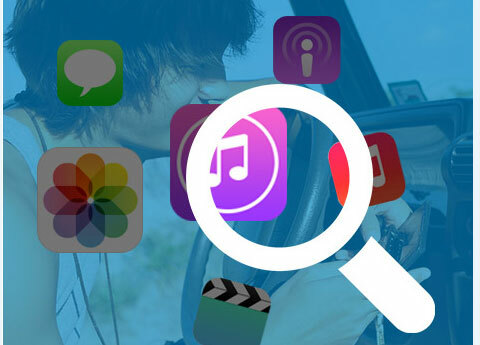 Plus, it highly supports all iOS and iTunes versions, even the newest iOS 12 and iTunes 12. 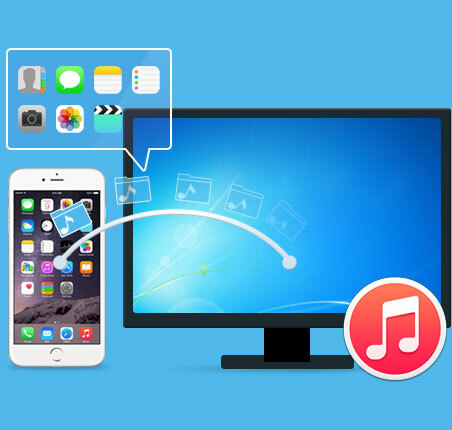 This iPhone to PC Transfer can copy various iPhone files to your PC or iTunes for backup and safety, with fast transferring speed and lossless quality. Once connected to PC, this iPhone Transferring application can instantly recognize your iPhone and show all its information, including type, capacity, version and serial number. With Tipard iPod to PC Transfer, you can easily transfer many popular media files, including music/movie/Pictures/TV Shows/Podcast/iTunes U/eBooks/Camera Roll/Ringtone/SMS/Contacts/Voice memos/Camera shot, etc. Support iPhone XS/XS Max/XR/X, iPhone 8/8 Plus, iPhone 7/7 Plus, iPhone 6/6 Plus; iPad Pro, iPad Wi-Fi, iPad Wi-Fi+3G, iPad 16GB, iPad 32GB, iPad 64GB; iPod 1G, iPod 2G, iPod 3G, iPod 4G, iPod classic, iPod mini, iPod nano 1, iPod nano 2, iPod nano 3, iPod nano 4, iPod nano 5, iPod nano 6, iPod shuffle 1, iPod shuffle 2, iPod shuffle 3, iPod touch, iPod touch 2, iPod touch 4, iPod Video, iPod Firmware 3.0/3.1. 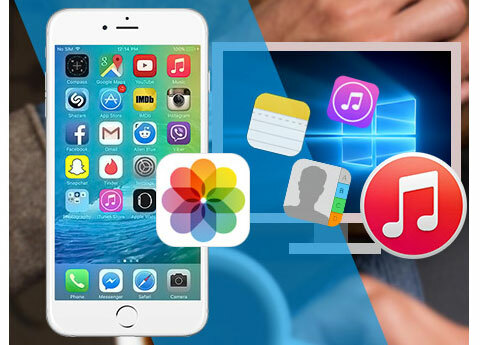 With this iPhone Transferring application, you can easily backup your iPhone/iPhone 6s/6s plus/6/6 plus SMS as database file to your PC from loss. What's more, you can delete unwanted SMS in the backup files. You are allowed to put your iPad/iPhone/iPhone 4S/iPhone 5/iPhone 5S/5C/iPhone 6s/6s plus/6/6 plus/iPod touch 4/iPod touch 2/iPod nano 5/iPod nano 3 Contacts on PC for safety, then you do not worry about contacts canceled or losing. 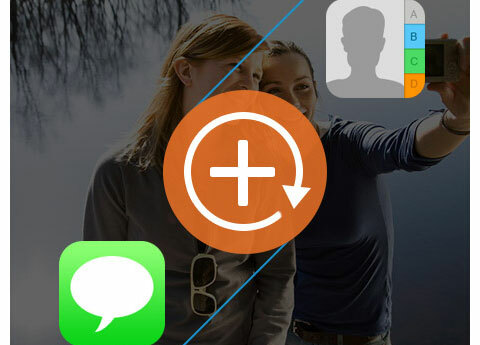 With the backup Contacts file, you can always find the contact information of your friends and families. The Refresh function can help you make sure that the iPhone files are always consistent with PC ones. 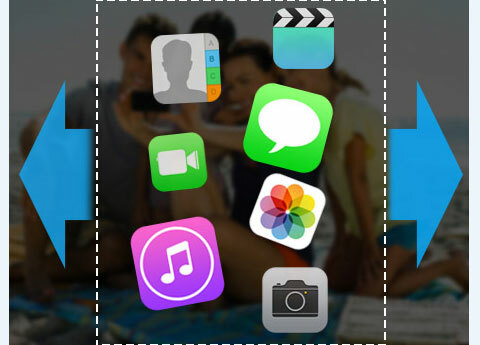 This function allows you to define what kind of iPhone files should be shown or not, which makes iPod to PC Transfer more convenient and user-friendly. When you connecting multiple Apple devices to PC, This iPhone to PC Transfer allows you to decide which Apple device should be connected to PC. iPhone Transfer to transfer files from iPhone to PC and from PC to iPhone. iPod to PC Transfer to backup files from iPod to PC.